We're pleased to announce a portion of the Levi C. Worster diaries and papers is now available on ExploreUK. The collection (dated 1863-1913, bulk 1863-1865; 0.45 cubic feet; 1 box) primarily comprise three diaries that provide an eyewitness account of life as a Union cavalry soldier during the Civil War, 1863-1865. Diary entries describe scouting parties, skirmishes, and marches through Kentucky and Tennessee. They also include vivid accounts of combat at Chickamauga and Stone River (Murfreesboro), harsh weather, and details of wounded and ill soldiers. When not in combat, his duties as a corporal included picket and scouting assignments, as well as building and protecting camps. Some diagrams of the works and fortifications are included. Other descriptions of ordinary military life include food and drinking, visits to hospital, life in camp, and Worster's ailments. In addition, Worster recorded a running tally of his correspondence at the end of the 1863 diary. The collection also includes his discharge papers, July 10, 1865; a pension certificate, June 24, 1913; a copy of Mumford & Co.'s The Historical Map (Cincinnati, Oh. ); and advertisements for soldier's pensions and patent solicitors, undated. 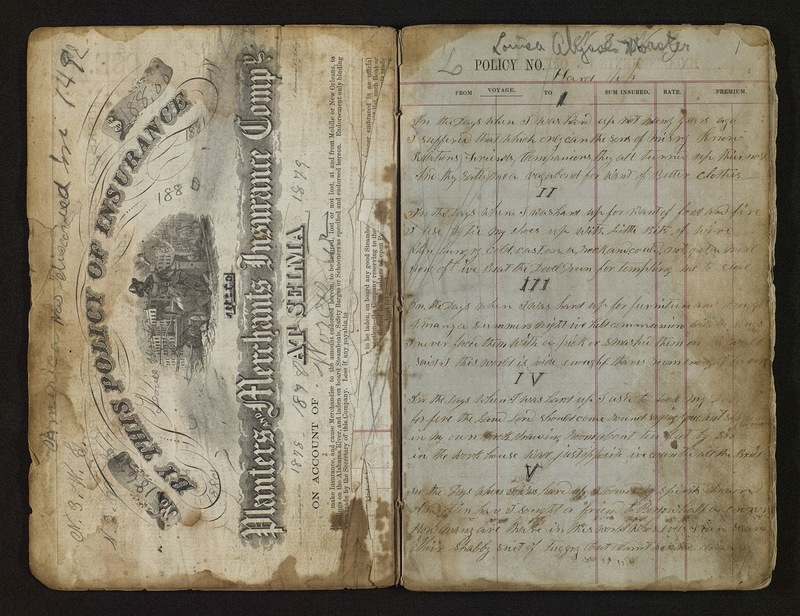 The third diary (entries are written in a Planters & Merchants Insurance Co. leather covered notebook) includes military, patriotic, and love song lyrics transcribed by Worster, 1865-1866; an 1878 insurance certificate; and additional handwritten notes in pencil, apparently by a child, dated 1881-1913.